In STEM class this week, the Kindergarten students designed and built bird baths. 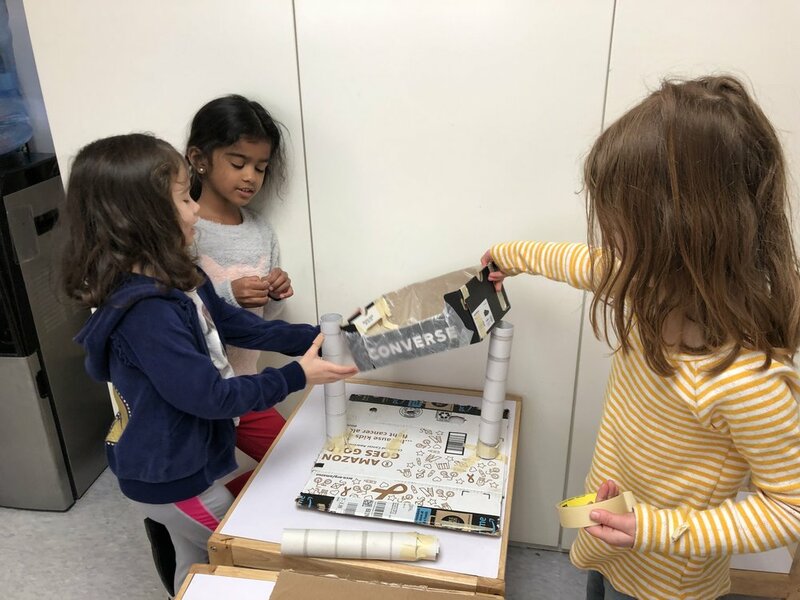 After talking about the structural elements, they had a detailed discussion about which materials would work best. After completing their projects, they got to test them. This week in Coding the Kindergarteners were able to get Cubetto safely through the big city. Now they are planning to start Cubetto’s next adventure! As part of their Empowering Writers workshop, the Kindergarteners worked on recognizing what the character of a story can hear, see, feel, taste and touch. They listened to descriptive segments and identified details using their own five senses.